The second day of this festival started pretty slow for us. During the day we went for some drinks, did some shopping and spend some time at the pool. In the evening we went to our second concert of this Festival. For those who do not know: I am a tuba player in a concert band in my town. So this concert was quite enjoyable for me because the local youth concert band were doing this concert. They played 3 pieces I have also played. They even played one piece that I am currently playing! Very fun to hear other perform the same pieces I have played. 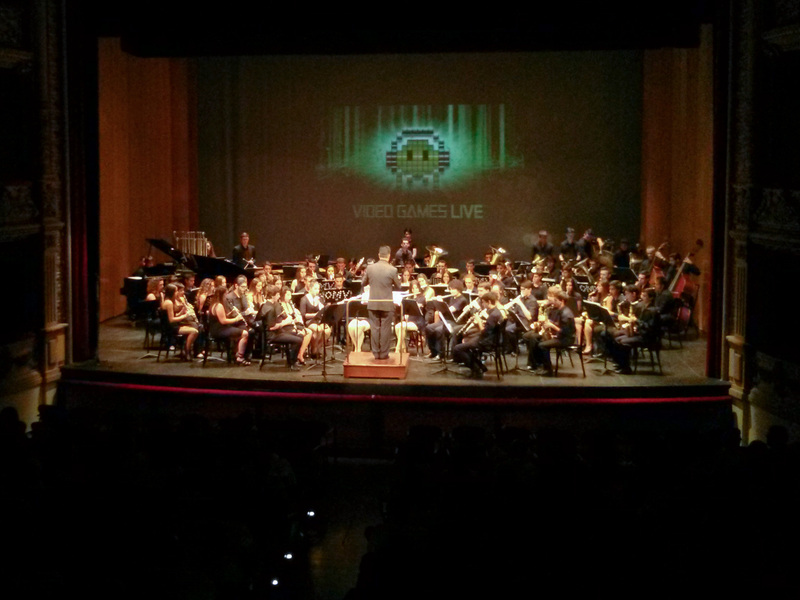 The concert band did adaptations of film and game music. They played for example pieces from the movies ‘Austin Powers’, ‘Matrix’ and ‘The Dark Knight’. After the break they played music from games like ‘World of Warcraft’ and ‘Journey’ where the bass clarinet player sang the song from that game. They ended with a selection from the ‘Video Games Live’ shows. As an encore they did a selection from James Bond movies and played the Austin Powers track again. The members were really enjoying themselves very much. The venue was quite crowded. Probably with a lot of family members and friends of the concert band. All in all a very enjoyable concert. The third day was a very busy day for us. We went to Siam Park. This is a water park with a lot of slides and long lines. 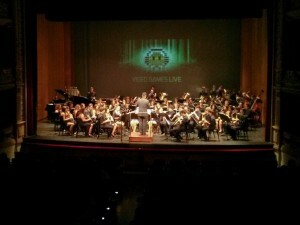 Public transport is horrible on Tenerife, we were just in time for our third concert. And as a bonus I got heavily sunburned. The concert for this evening was the first concert in the awesome concert hall ‘Auditorio de Tenerife AdÃ¡n MartÃ­n’. It was divided in two parts: The first part was music from the composers Marco Beltrami and David Arnold. The second part was songs from the Bond movies. First halve was pretty good! They played new pieces from Beltrami’s scores ‘Snowpiercer’, ‘Soul surfer’ and ‘Wolverine’. It was conducted by the guest conductor Steve Allen Fox. Marco who was present, enjoyed it very much. David Arnold could not be present. He is very busy scoring the third season of the Brittish show ‘Sherlock’ (yay!). 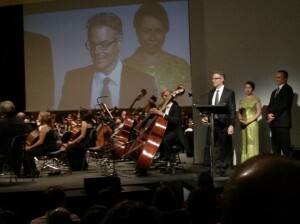 Orquesta SinfÃ³nica de Tenerife performed music from ‘Independence day’, ‘The Stepford Wives’ and of course ‘Stargate’. I had quite some goose bumps during these pieces. After the break they started with the James Bond songs. As a film music score lovers, this was not our favourite part of this concert. The audience loved it very much though which is more important. 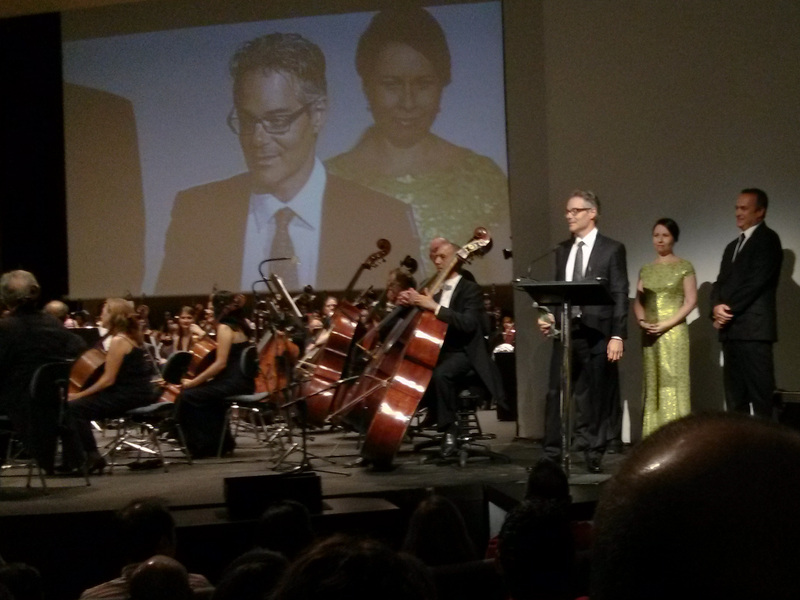 Especially ‘Licence to Kill’ resulted in a spontaneous standing ovation, leaving the singer speechless. Despite the annoying camera on a long arm that was often in our way it was a very entertaining concert. A good prelude of what to come for the last concert.